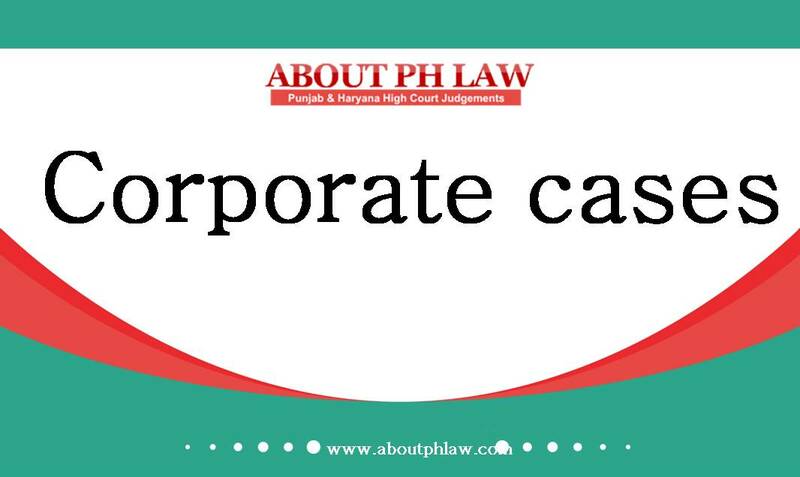 By phlaw| 2018-10-03T18:56:25+00:00 October 3rd, 2018|Corporate cases|Comments Off on SARFAESI—Suit for Partition during pendency of proceedings under SARFAESI—Debt Recovery Tribunal has been empowered to decide the question of title and partition of the property. September 27th, 2018 | Comments Off on SARFAESI—Counter Claim—Suit by borrower claiming certain transaction being sham, null and void—DRT has no jurisdiction to entertain such claims. August 1st, 2018 | Comments Off on V IMP::: Advocates—Disciplinary proceedings cannot be initiated by State Bar Council against an Advocate for the acts unrelated to professional conduct. July 31st, 2018 | Comments Off on SARFAESI—Forfeiture of deposit of auction purchaser by Bank—Auction Purchaser can challenge the action before DRT and not High Court. July 28th, 2018 | Comments Off on SARFAESI—Jurisdiction of Civil Court—Civil suit for partition of property would not be maintainable in a situation where proceedings under the SARFAESI Act had been initiated. June 4th, 2018 | Comments Off on Recovery of Debt—Bank can recover the amount paid by it by way of forged cheque/demand draft through DRT.